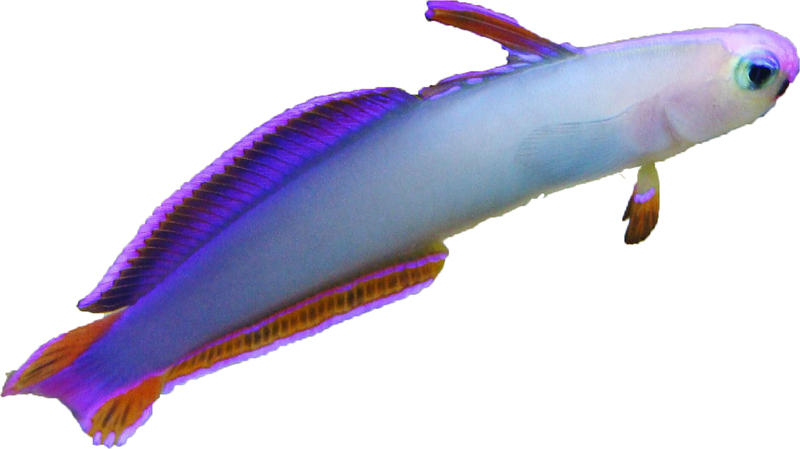 The Purple Firefish Goby is also known as the Decorated Firefish, Purple Dartfish, Decorated Dartfish, or Flame Firefish. The Purple Firefish Goby is a popular fish for clear reasons, it has an attractive yellow head that fades to almost white and then turn to a deep red on the back half of its body. To be successful with the Purple Firefish Goby requires an established 20 gallon aquarium with plenty of live rock for cover as they will bolt back to a secure place when stressed. The Purple Firefish Goby is considered a jumper, so a good lid would also be needed.